Handles c.1810 – later central medallion c.1905. The Bottle divisions have been removed at some time from the drawers, but could be returned in restoration. The central drawer was used for wine utensils and corkscrews… (filters, funnels and tasters etc) Probably one of a pair: the other being used for silver. Restored: £380.00 Unrestored: £240.00. I’m afraid it doesn’t come with any bottles… not at that price anyway! Surely this won’t last long in the Workshop. 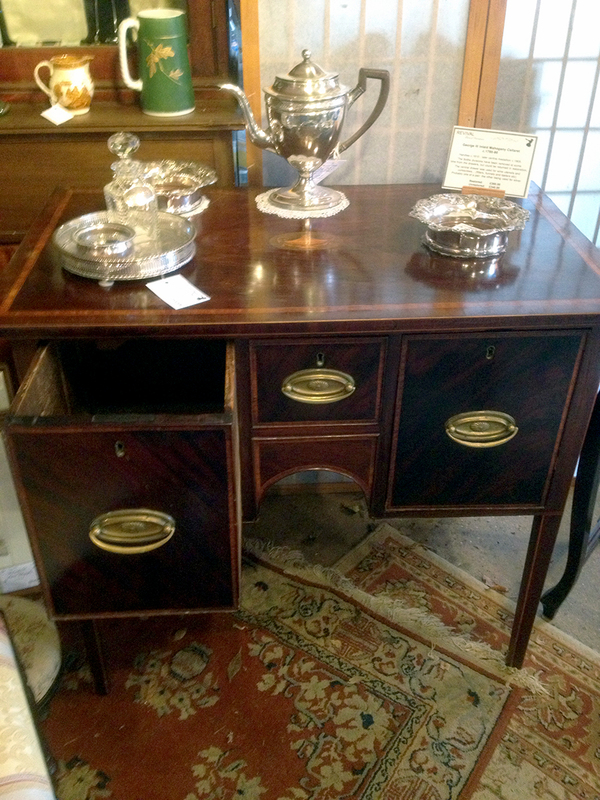 This entry was tagged antiques, cellaret, george III, piece of furniture, stunning piece. Bookmark the permalink.